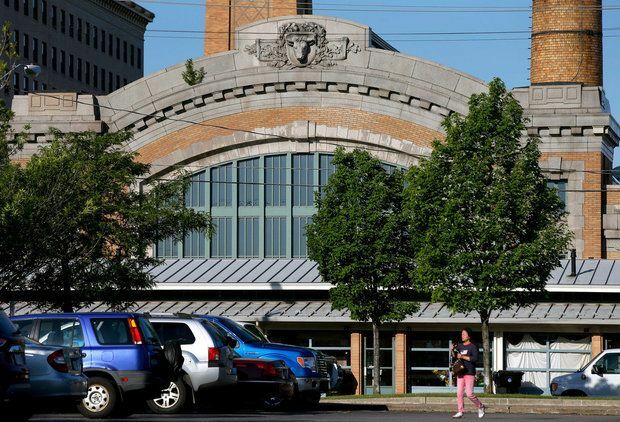 CLEVELAND, Ohio — The parking lots behind Cleveland’s historic West Side Market soon will be protected by armed security guards during business hours. Cleveland City Council on Monday passed legislation authorizing the city to spend $86,000 a year on what city officials said will likely be off-duty Cleveland police officers, replacing a contract with Willo Security for unarmed guards. Susie Claytor, the deputy commissioner who oversees the Public Auditorium and West Side Market, told members of council during a Finance Committee meeting Monday that the new contract will cost more than the current one, given that police officers have more training and arrest powers. But she could not recall how much the current contract was worth. Council members pressed Claytor to explain why daytime security guards at the lot should be armed. They wondered if there had been an uptick in crime in the area, necessitating armed security. Claytor said she believes the administration is merely trying to take preventive measures, and that the new contract is just one step in the process of assuming control of the lots from the West Side Markets Tenants Association, whose lease on the lots expired last year. Councilman Joe Cimperman, who represents the Market District, said he welcomes the legislation and looks forward to other ordinances, which, he said, will be aimed at improving parking overall in the booming neighborhood. Cimperman said the city is considering six different options for structuring parking fees at the lot. He foreshadowed legislation that will propose up to two hours of free parking and a charge of up to $2 for every hour after that. He said the fees will encourage turnover and deter RTA riders or attendees of downtown sporting events from leaving their cars in the lot for prolonged periods, limiting available spots for market patrons. Without a remedy to the neighborhood’s dearth of parking spaces, Cimperman said, market customers who can’t find parking go elsewhere. He acknowledged, however, the pushback from some market vendors, who want the parking problem solved but oppose charging their customers to park. Councilman Michael Polensek, who voted against hiring armed security guards, expressed concern that the city might charge the market tenants more in rent to cover the increased cost. Claytor said that next year’s leases have not been finalized, and that she is unaware of how the cost of armed security would effect those agreements. But she added that the parking fees that eventually will be collected will help fund the lots’ maintenance and other expenses at the city-owned market. Cimperman added that the expense for armed guards would be in keeping with what market vendors used to pay to cover maintenance under their old lease on the lots. Tommy Boutros, president of the tenants association, could not be reached for comment Monday.